The wet spell we are enduring is playing havoc with fixtures. Saturday’s meetings at Portrush and Lisronagh were run in tough conditions which tested the resolve of the hard-working hunt volunteers and at Portrush members of the Route Hunt fought the elements and had to tow the majority of horse boxes into the centre of the course. This weekend the fixtures which were set to take place at Grennan and Rockfield have fallen by the wayside, with the latter forced to cancel due to a waterlogged course. Thankfully, the possibility of blank weekend at a time in the season when many horses are ready to run has been avoided with the addition of a card at Tinahely on Sunday. The course in Fairwood Park will now stage four fixtures organised by three individual hunts. The Wicklow Foxhounds will be in charge for Sunday’s meeting, joining the Shillelagh and Bray, in hosting fixtures at the Wicklow course. Sunday’s meeting will mark a welcome return to hosting point-to-point racing for the Wicklow Foxhounds, who have been absent from the fixture list for 20 years. 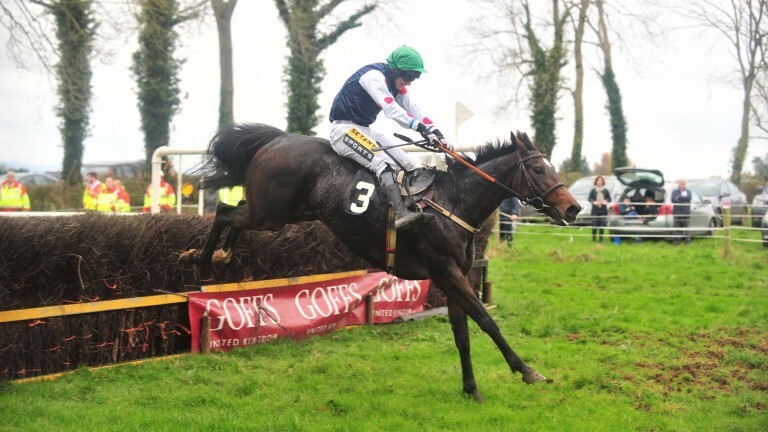 The Iveagh Foxhounds, who lost their October fixture, have been granted a new date by the Turf Club on December 2. This extends the northern season by two weeks and will be a welcome development for the region which has already lost two fixtures. Handlers in this region have been particularly hit by the inclement weather. Not only were two of their first three meetings of the season cancelled but the waterlogged ground has closed schooling facilities in the region. This has denied trainers the opportunity to take horses away to work and has left the handlers of many young horses rueing the weather woes. Unsurprisingly, many were keen to take up the chance of schooling after racing at Portrush, while Moira Equestrian Centre, which hosts the Moira point-to-point, opened for schooling bumpers and hurdles yesterday. Taking place in splendid autumn sunshine, Dowth Hall point-to-point had it all for the whole family. The biggest fixture in Ireland has continued to grow each year, with event organisers not resting on their laurels after last year’s success. This year there were several new attractions and the crowd figure grew for the third year in succession, as more than 6,000 people flocked in. Away from the track action, there was something for all ages. Entertainment for children was at the heart of the day, with a dedicated kids’ zone to keep younger racegoers happy. From pumpkin carving and bouncy castles to puppet shows, face-painting and magic shows, there was no doubting this was a family-inclusive event. The event had a culinary spread not matched at any course in the country, with vendors offering everything from wood-fired pizzas to chicken wings, while the Boyne Valley Food Series market highlighted the best of local artisan produce from within the region. Throw into the mix a country fair with dog show, falconry display, mobile farm, pony riders, bee keepers, a shopping village, and more, it is no surprise the event is such a success. Dowth Hall brings the sport to a wider audience and, although no other fixture can match the budget at the organisers’ disposal, the crowds it manages to draw demonstrates the appetite for an entertaining day outdoors for all the family. The Castletown-Geoghegan open lightweight run on the season’s opening day looked a red-hot contest then and it has since received a novel form boost. The first three horses home each won over the following three weekends of racing, appearing in the order in which they finished. Race winner A Decent Excuse was the first to reappear, winning comfortably seven days later at Loughrea. 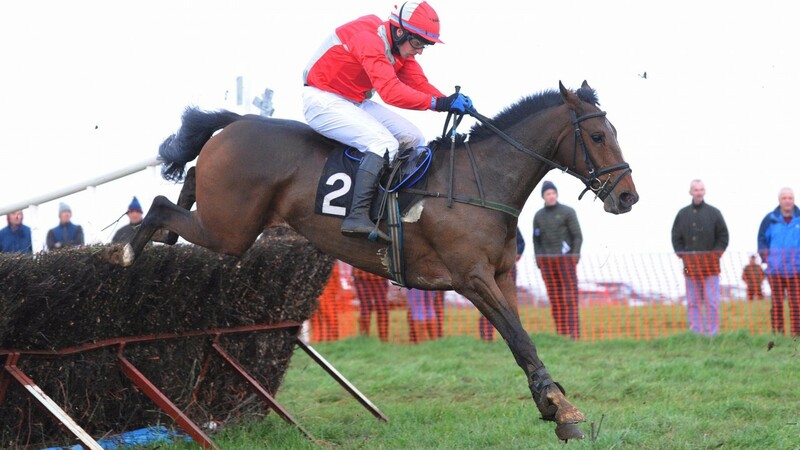 Sammantom, who was second at Castletown-Geoghegan, was a 14-length winner at Tinahely a week later, while Chapter Two, who finished third, completed the sequence at Lisronagh on Saturday. With lower-order finishers Eddies Miracle, Change The Rules and Gabrielleamee finishing placed subsequently, down the field with last season’s champion point-to-pointer Ourmanmassini and Grade 1 winner Gilgamboa, who are yet to reappear, it could prove to be one of the hottest races of the season. An unusual feature of Portrush’s concluding older maiden on Saturday was that the majority of the field were returning from sizeable absences. Of the five horses who faced the starter only the winner Ballyhowne had recent race fitness, having run a fortnight earlier at Loughanmore. The quartet facing him were returning from absences varying from 735 days up to 1,099 days. With Sunday’s older maiden at Dowth Hall producing a field of just four, there are opportunities for the owners of older maidens.